Some of the New Psychoactive Substances (NPS) drugs recovered by Northumbria Police during the raids. A Wallsend man has been jailed for four years for his role in a drug operation. Barry Ramsey was part of a gang of drug dealers to be among the first in the country convicted of supplying NPS – formerly known as legal highs. Barry Ramsey was jailed for four years after admitted two counts of conspiracy to supply NPS and being concerned in supplying heroin. A total of 12 people were sentenced at Newcastle Crown Court following a number of raids across Newcastle in March. 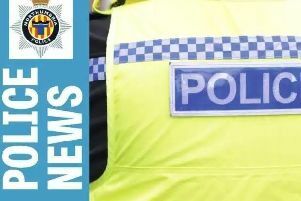 They had been targeting vulnerable people in the city centre and supplying them with New Psychoactive Substances (NPS) that left them in a zombified state. Many of those taking the drugs were being targeted by the dealers and resorted to begging in the city centre to fund their addiction. Northumbria Police launched an investigation into a number of suspects and used covert and undercover tactics to identify suppliers. More than 200 grams of psychoactive substances were seized at just one address which had a street value of £2,000. Each bag of product was branded with names such as Spice, Old Jamaican Extreme and Alabama Wildfire alongside the wording Not for human consumption. Speaking after sentencing, Newcastle city centre Chief Inspector Dave Pickett praised his officers for being proactive in their use of the new legislation. He said: “I just want to say that Newcastle isn’t alone in having an issue with NPS and the effects that then has on people in the city centre. “As a force we have been very proactive in our approach whether that be through releasing videos of the effects on users or by executing warrants to disrupt dealers. “The fact that this is one of the first cases to come to court under the new NPS legislation should be a real plus point and should reassure the public that we are doing everything we can to tackle the use of such substances. “Our officers have used a range of tactics available to them and gathered a huge amount of evidence that left the defendants with little choice but to plead guilty. Ramsey, 27, of St Julian Gardens, Howdon, Wallsend, admitted two counts of conspiracy to supply NPS and being concerned in supplying heroin. He also admitted taking part in a distraction burglary on a 91-year-old in Jesmond and an affray. He was jailed for a total of four years. Darren Argent, 51, of Springfield Road, Cowgate, admitted two counts of conspiracy to supply NPS before and after it became illegal. He was jailed for two-and-a-half years. John Hall, 32, of Wingrove Road, Newcastle, admitted two counts of conspiracy to supply NPS and supplying heroin. He was jailed for two years. Reece Spearman, 21, of Hallow Drive, Throckley, admitted conspiracy to supply NPS. He also admitted a robbery of a teenager in Leazes Park. He was jailed for 19 months. His twin, Ryan Spearman, 21, of Hallow Drive, Throckley, pleaded guilty to conspiracy to supply NPS. He also admitted two burglaries and aggravated vehicle taking. He was given 18 months suspended for 12 months with 240 hours unpaid work and a 12 month driving ban. Louis Davison, 22, of Westgate Road, Newcastle, admitted conspiracy to supply NPS and affray. He was given 12 months suspended for 12 months with 180 hours unpaid work. Nichola Day, 37, of Ladykirk Road, Newcastle, admitted two counts of conspiracy to supply NPS and was given six months suspended for 12 months. Sarah Hankin, 24, of West View, Elswick, admitted supplying and offering to supply NPS. She was given a community order. Daniel Macauley, 26, Of West View, Elswick, pleaded guilty to permitting his premises to be used for the supply of drugs and he was fined £250. Kawsar Ahmed, 56, of New Bridge Street, Newcastle, admitted being concerned in the supply of NPS. He was fined £500. Sean Kyle, 45, of Bentinck Terrace, Newcastle, admitted conspiracy to supply NPS. His case was adjourned until January for a drug rehabilitation assessment. Steven Southam, 33, of Ripon Street, Roker, Sunderland, admitted two counts of conspiracy to supply NPS. He failed to attend court and a warrant was issued for his arrest.